TenantNet Forum • View topic - Can My Landlord Legally Lock Apt Thermostats? Can My Landlord Legally Lock Apt Thermostats? The bldg owner/landlord has decided that the heating Bill for the bldg is too high, so he wants to enter all apts and lock down all thermostats to 72° (This was in January). Last edited by harrykane140693 on Sat Aug 18, 2018 5:54 am, edited 2 times in total. Re: Can My Landlord Legally Lock Apt Thermostats? The very short answer is no. But he might be in non-compliance for other reasons as well. 1. what type of building is this? How many units? How old (approx when was it built)? Are you rent stab, or are others in the building rent stab? 2. What kind of heating system is in the building? For example, is it steam heat to radiators from a central boiler in the basement? Or forced air? Or electric? Is the building on central heat, or does each unit have individual heating units? If there are individual heating units, is this something the LL put in and converted from a central heating system? 3. 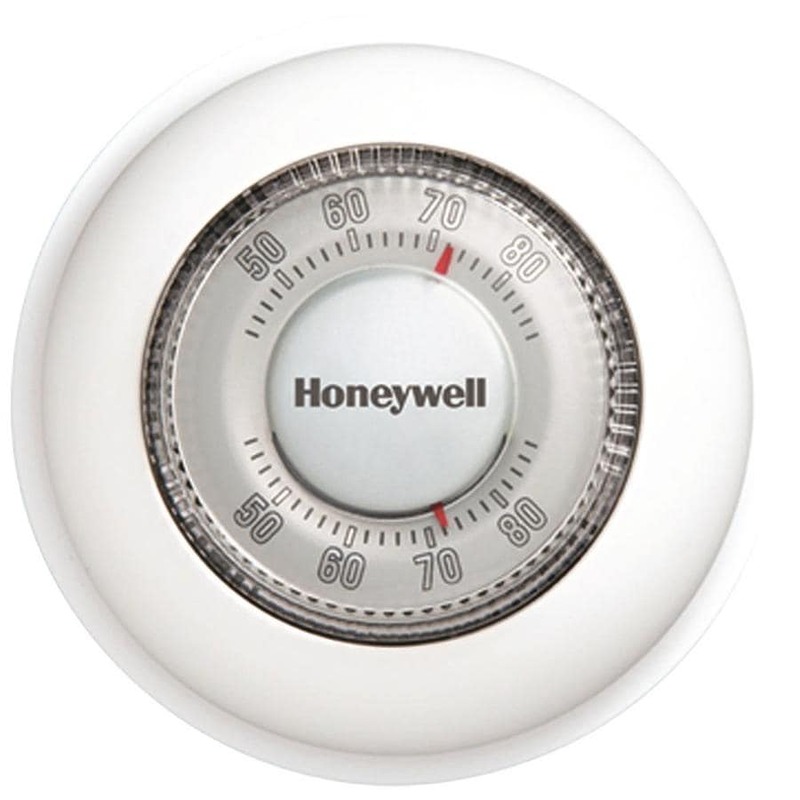 What does the LL mean by "locking down the thermostat?" How would he do that? Is it a new computer controlled thermostat with a fancy LCD screen, or something that looks like it came from the 1960's or that era? 1) It's a 1931 2-stories building, converted from a 4-family building to 8 studio units. It falls under the Rent Stabilized buildings category, and although they gave a Rent Controlled lease when I moved in 7 years ago they forced me into month-to-month tenancy by refusing to produce another lease. They never registered with the Housing and Community Renewal Committee as a rent stabilized building. I had to relinquish the claim to rent stabilization when they tried to evict me and we reached a settlement. 2) the heating system must be steam heat to radiators from a central boiler in the basement. I think the system is central heat, but they found a way to partly bypass my apartment. The radiator is warm but only when my neighbors have their heat on. I have no control over the temperature and sometimes I cannot even turn it on. I do not understand why the inspector cannot understand this. I should have access to my heat! 3) I had control over heat (on/off) and temperature until he changed the thermostats in all apartments. everyone else got digital readers and thermostats, he installed a honeywell thermostat (as in pic 2) in mine. This should be on a separate thread. If there are six or more units, it should be rent stab assuming everything else complies. However, the conversion might have been illegal. In our opinion, that would not negate the RS coverage. They would have to legalize the units. There is no such thing as a rent control lease. I don't know what you got, but it wasn't a RC lease. And if they refuse to renew a lease, you are still rent stab. You can file with DHCR for failure to offer a RS renewal lease, or a proper lease from the getgo. Get a rent history from DHCR and you can investigate what the unit was prior to your moving in. Also understand that without a lease, the rent can't legally go up. You say you relinquished your claim to RS coverage. Legally that can't happen. Was that just a stip from the LL? Did a Housing Court judge approve that? I would consult with a good tenant attorney to see what your options are. Based on what you've described, this sounds like fraud on the LL's part and might be eligible to go beyond the four year statute of limitations. You probably need to investigate he heating system further. All multiple dwellings are required to have central heat unless they get a waiver. It does seem logical that your heat - and your neighbor's heat - start and stop at the same time. That's how central steam heat works. The control you have is the knob to the side of the radiator. In older buildings that means on or off. If the heat if off, or insufficient, then you might have valid heat complaint. Look at the NYC heat requirements and keep a log of inside and outside temps. When it's cold, complain to 311. That's only to get it on record. However, if you have a thermostat, then yes, you should have some control in our opinion. But thermostats and steam heat usually aren't seen together. I can't really opine further without knowing how the building is set up. If the thermostat that you got is not working properly, then you can file a service reduction with DHCR (however your RS status might be an issue). Thank you. I was simply answering the questions. I know that the building is illegally not registered and I spent a lot of money in court to support a rent stabilization case to avoid eviction. They could not prove that they spend enough for "full rehabilitation" but my lawyer adviced that it is better to settle, so I got a lease with the right to renewal for the next 4 years. When I say I relinquished my claim to this right, I mean what my lawyer added in the lease, that I am doing so "without prejudice", in the sense that I cannot present the same claim in another case. But from what you write, this is not true. And yes, the Housing Court approved that. I tried to file with DHCR for failure to offer a lease in general on year 2, but they said the building was not on record. They gave me some paperwork that simply concluded that I need a lawyer, and meaningfully wished me "goodluck". It really makes no sense that every single responsible agency about housing knows about this building because of years of violations, complaints to 311/HPD, tenants inquiring into past rent records, and of course being in court for 2 years, and they still cannot do nothing! Do they really expect us tenants to rat out every single landlord criminal? This is not how the city should be run. As for the heat, mine goes on when my neighbors' does irregularly, that is, whenever they are using it, and not based on a timer. I speak with them, I even asked the tenant upstairs to not turn off theirs when they leave home because otherwise it falls in the 50s in my apartment. Well without prejudice means you did NOT relinquish your rights. It also means you can use the claim elsewhere. Was this a tenant attorney? And it doesn't sound like it was better to settle. But not knowing the case details or seeing any of the documents, I really can't opine more. But Riverside v Munroe - and many other cases - say a RS tenant cannot relinquish his/her rights. It's more or less black letter law. OTOH, a LL can claim you don't have RS status to begin with. Yes, DHCR is mostly anti-tenant. But for violations and the like ... most of that goes through HPD. Again, I can't presuppose the heat problem without knowing how things are set up. You might want to have a specialist look at it. You can also keep calling 311. That will cause inspectors to show up. May not solve the problem, but the LL will have to deal with it. Thank you so much. My lawyer was excellent up to the settlement point, but you are right, I felt the same, I should not have settled. I am so grateful I discovered this forum. From the little I've read, I could be suing for backrent for the years I have been living here and paying illegal rates. HPD got so sick of my landlord that they gave me a Borough Office's (?) number I am calling to on Monday. Hopefully the heat issue will be resolved before the big chill coming in this week! Thank you for all the advice, and for existing as a resource for people like me. Overcharge issues can be complicated, especially if the RS status is not settled, or if it goes back more then four years. FYI, the four-year statute of limitations is only for overcharge claims, not for RS status claims. Did you ever get a DHCR rent history going back to 1984? That's important. Who is the attorney? If you wish, please let us know via Private Mail (use the PM button). There can be many reasons to settle, or not. It can depend on the merits of the case, and if you have the stamina (and money) to continue litigation through a trial. Based on what you've told me, I think you can bring the RS status in another case, either through DHCR or the courts. I will make a decision as to how to deal with them at the end of this year, because something tells me they won't honor the contract we signed respectively. I did file today an online form requesting the rent history (resource found on your forum, thank you), but I am not optimistic, since the building is not registered. I will share the attorney's info in PM. For rent control, there was the initial registration for all RC units, but they are not required to update that yearly. And check with DHCR if that's the right procedure to establish RS status. BTW, for a number of reasons, you do NOT want to seek rent control coverage. All this is wonderful, thank you, I'll probably go ahead and file for AD. I am tempted to ask the reasons why I wouldn't want to prove the status of my apart...? We know the firm quite well and they are one of our advertisers. They certainly have the qualifications as tenant law is all that they do. I've met your attorney maybe once or twice, but have never worked with him. I know the partners much better. I'm sure he knows about Riverside v. Munroe and other such cases. I can only react to what you've told me, and any documents I've seen (which are none). Look at the stip again and see exactly what it says. If it says without prejudice, then you can raise the issue in another case in our opinion. Also, understand while I've been in court many times (and have pretty good track record), I'm just a tenant like you. I am not an attorney. Given all that was going on with your case, I would hope he had a reason to recommend that you settle. If he didn't explain it to you, I'd ask. There are times to battle to the death, and then there are times to kick the can down the road for another day.